Collaborative models for arranging electronic online services have become an important supplement to the traditional in-house provision within government. 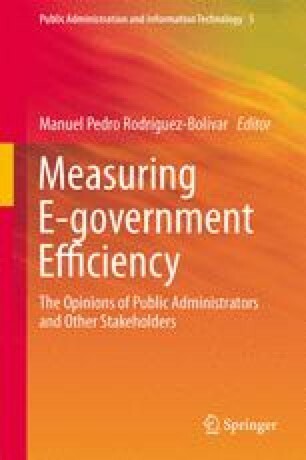 This chapter analyzes stakeholder view on e-government from the public sector management. The chapter applies target group interviews from 15 representatives working on the “electronic services and democracy” (SADe) program. Three main discourses are interpreted. They are efficiency and e-government, e-government as a tool for improving democracy and participation, and potentials for cross-sectional transforming government. There are a number of problems to be solved before the easily accessible single-platform service interfaces are realized. The main questions concern the role of private sector involvement, privacy and data security, and legislation. Additionally, the transformations in the working cultures of governmental organizations provide challenges for automation and management. This research is part of the Academy of Finland project 127213. We also thank two anonymous reviewers for their constructive comments for improving the chapter and all interviewed persons for their participation.